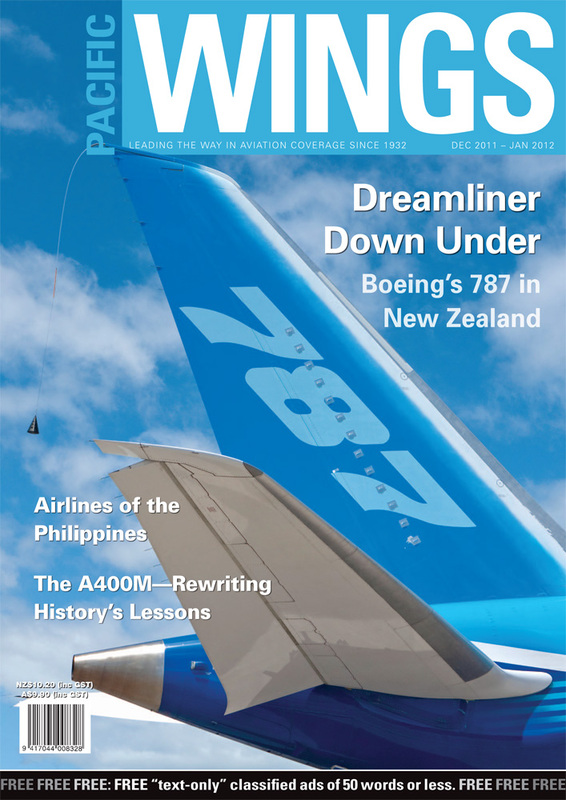 Rob Neil was lucky enough to attend the historic first visit to New Zealand of a Boeing 787. The first 787 to fly, ZA001 was just two weeks from permanent retirement when it touched down at Auckland. Murray Kirkus gives an interesting insight into the convoluted story of airlines in the Philippines in recent decades. Pacific Wings’ UK correspondent, Peter Cooper, is fortunate in living not far from Duxford in the UK. During regular visits there, he keeps up to date with the restoration projects underway at this magnificent living museum. Because of the effort involved in acquiring their military pilots’ brevets, the RNZAF’s graduating pilots all deserve recognition. Pacific Wings recognises the recent graduates of the RNZAF’s 10/1 Wings Course. Airbus Military’s A400M has defied history’s odds and confounded the pessimists by surviving a convoluted political background and not one, but two multi-national development programmes—not to mention a global economic crisis. Rob Neil gives a brief summary of an ongoing flight test programme that almost never was.